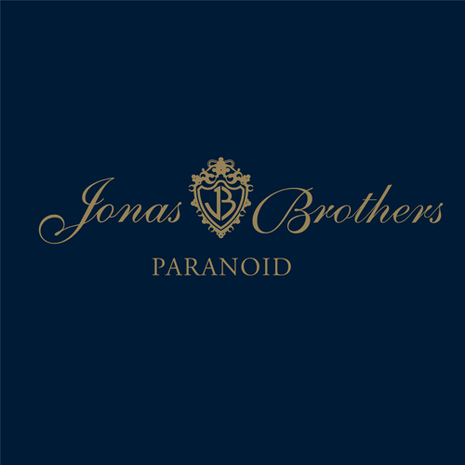 "Paranoid" is the first single by American pop band Jonas Brothers from their fourth studio album, Lines, Vines and Trying Times. It was released on April 29, 2009, through Hollywood Records. The three brothers wrote the song with English singer-songwriter Cathy Dennis and their producer John Fields. The music video was directed by the Malloys, who also directed the video for the their song "Burnin' Up".The video premiered on May 23, 2009 on Disney Channel. 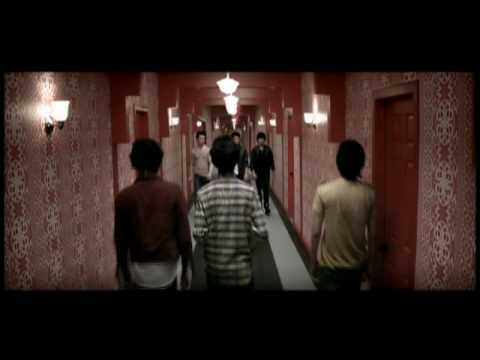 The music video opens with Joe, Nick and Kevin sitting in three chairs in an empty warehouse. Where they turn to each other but each brother switches seats suddenly. Then it shows scenes of all the brothers on their own. Kevin is in a room full of his clones, Joe goes up a ladder in a hotel hallway and finds himself in a wrestling ring and Nick opens a door in the hotel and is lost in a desert where his car comes and he starts driving. Once he is crossing the desert he notices a girl in a car beside him, pointing him back on the road. Nick suddenly runs into a door, and he awakes from a dream. Joe and Kevin ask Nick if he's OK then notice two wrestlers and the girl in his car, who seem to have suddenly appeared, with numerous Kevin clones running towards them. This is all shown with scenes of the Brothers playing in the warehouse from the opening. The music video was released on iTunes on May 26, 2009.